The 2010 HOW Design Conference is fast approaching… and I can hardly wait! AIGA contacted it’s Denver members and asked for design submissions for a post card collection that will be given out to people at the conference. 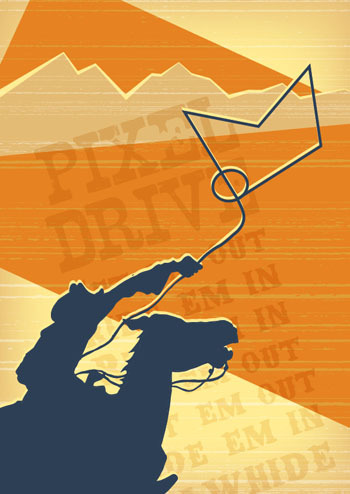 The post card is supposed to demonstrate Denver’s pioneering spirit… so this is what my brain spit out.